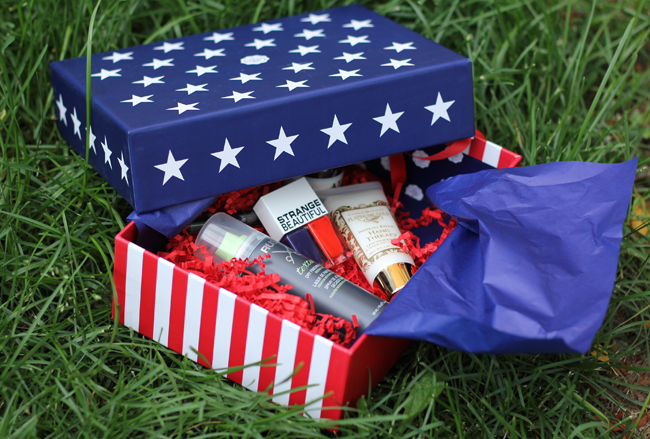 Are you ready for the 4th of July? I am! We’ll be attending a wedding, but the celebrations will continue all weekend with red, white and blue, lots of delicious cooling cocktails, watermelon, fireworks and of course, some fabulous sparkle. 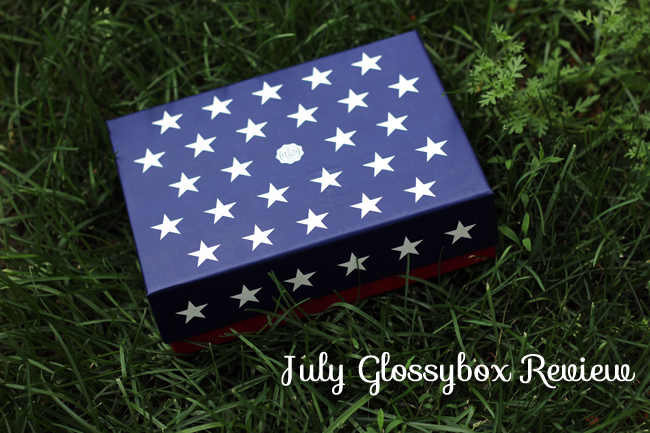 Can I just say, I LOVED this GLOSSYBOX? 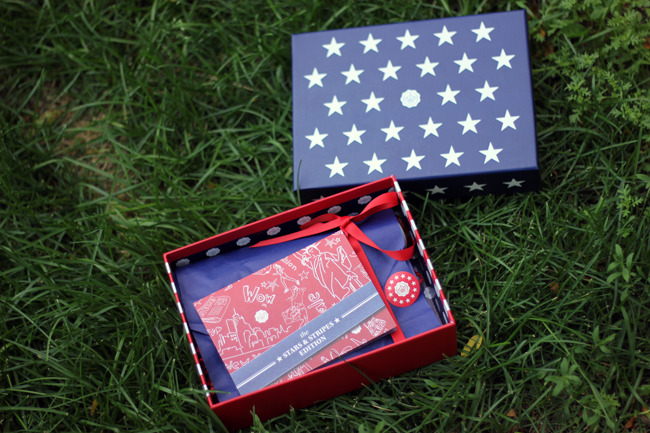 The patriotic packaging just made me giddy! I don’t normally save the box, but this month, I totally will- it was just too cute! 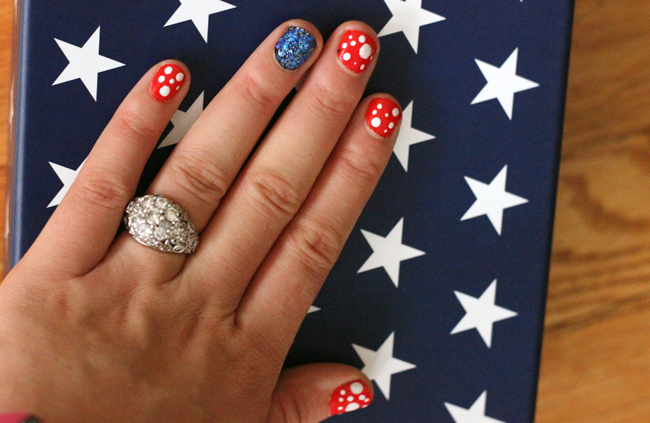 I had fun making a StrangeBeautiful patriotic manicure. Spoiler: I hate showing off my hands and I’m not a huge expert on nail art…so this was probably the most fancy I’ve been with my nails in a long time- but it was super easy to do. Glitter + orange stick = embellishments. The nail polish lasted several days, which is about average for me- it didn’t chip right away (a win!) since I have really thin nails. I love patriotic colors (our wedding is Tiffany blue and coral red) so I had fun experimenting with the StrangeBeautiful colors. 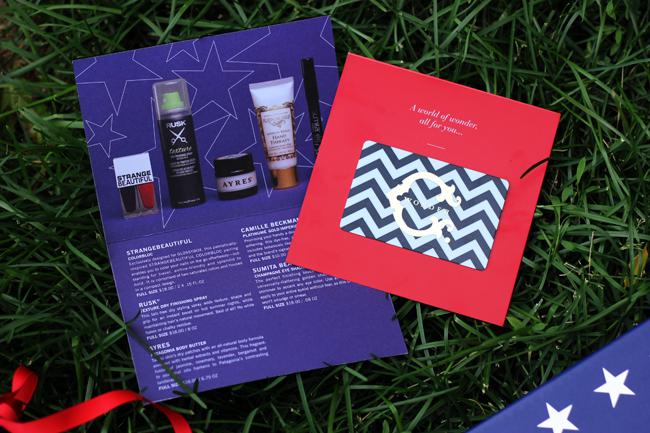 GLOSSYBOX is $20 a month. This box had about $54 value and I adored the packaging. The polish was great, and I liked eye shadow pencil- it’s great for a simple, water resistant look if you’re hitting the pool this July. 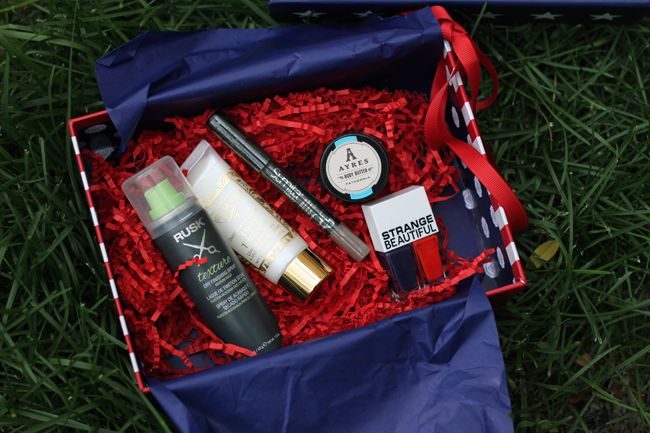 If you’d like to sign up for GLOSSYBOX I’d love for your to use my link if you’re so inclined! Pug Rescue, One Mile At A Time. We Want To Save 26.2. I wish I was girly enough to pain my fingernails regularly. Those are so cute!